I love reaching the end of a year and thinking, Holy cats, did all that really happen? Such it is at the end of 2013, a veritable typhoon of cool events. It is easy to summarize 2013 as “the year I moved to Costa Rica”—which already deserves a library unto itself—but so much else happened in the eight months preceding our move that I think they deserve some reflection. Fittingly, it’s a cold and quiet evening on the outskirts of Philadelphia, and I am nursing a head cold. No better time to bundle under the covers, dread my 7:45 a.m. flight to Houston, and consider some punctuation marks in this unprecedented year. January: My first feature-length documentary, The Trail, airs on WQED. February: Kylan and I rendezvous with buddy Jen Resnick and we tour Costa Rica for two weeks, on the road to our wedding in Guanacaste. I also get to meet my future editor, the inimitable David Boddiger, for the first time. After sunbathing and hiking in such tourist hotspots as Jacó, Montezuma and Tamarindo, we arrive at the Hilton Papagayo. Members of the Turner and Isenberg families arrive, bond over ziplining, and celebrate our nuptials on the beach. The party ends with s’mores and champagne around a bonfire. March: My novel-writing group, The Rahnd Table, presents its first public reading at Most Wanted Fine Art. The place is absolutely packed. April: After months of planning, I visit California and attempt to summit Mt. Whitney. The resulting documentary is called The Mountain and premieres at Pittsburgh Filmmakers. May: I share some stage time with good friend Daniel Parme at East End Books, a really fun reading. I later return for an awesome storytelling session. June: I head to Venango County as a guest reader for The Bridge Literary Series. I have an absolute blast in beautiful Franklin, PA, and make a host of new friends. June: After 13 years of writing about Steel City stage works, Pittsburgh Magazine commissions a long-desired story—the rambunctious world of small-budget theater. June: The Rahnd Table ventures into the woods for an “artists’ retreat” in the Allegheny National Forest. We lie in the grass and watch stars, tell stories, and I ultimately have to dig my first tick out of my thigh. June: I head to Cleveland to shoot some footage for a nonprofit. I meet up with friends Cathleen O’Malley and Matt Gray, and I am blown away by up-and-coming Ohio City. June: To cap off a breakneck month, Kylan and I attend the wedding of my brother Joe and his girlfriend Miriam. July: We say farewell to our beloved house in Meade Court, the best place I’ve lived since leaving my parents’ abode in Vermont. We also sell most of our belongings. July: My final performance in Pittsburgh, the Robert Isenberg See-You-Soon Tour, takes place at the Arcade Comedy Theater. August: Kylan and I temporarily relocate in Philadelphia, where we begin an epic road trip: New York City, Vermont, Washington, D.C., Luray Caverns, and the Outer Banks. 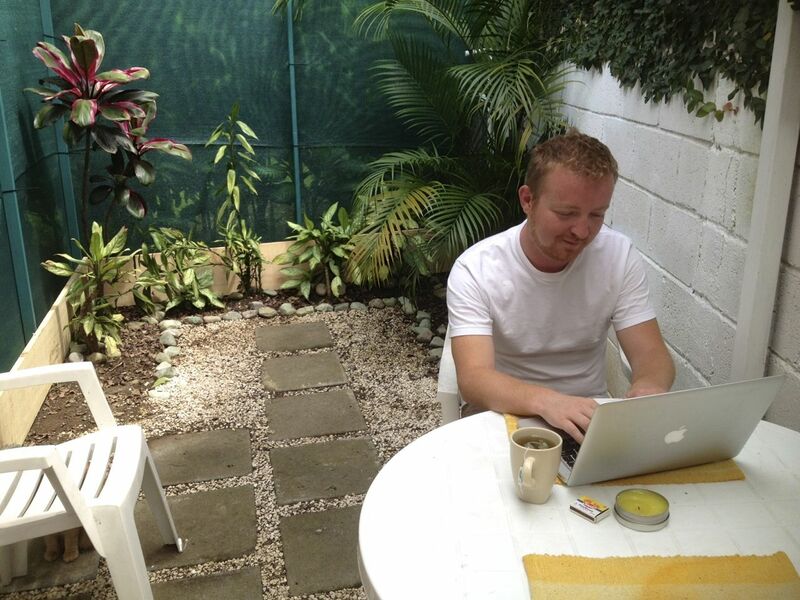 September: We fly to Costa Rica, where I begin my work for The Tico Times in earnest, and it’s an absolute dream job. My first assignment in-country is to hang out with The Crystal Method until 4 a.m.
October: To celebrate my birthday, Kylan and I spend a long weekend in Brasilito, a quaint little beach town. Kylan surprises me with my first-ever scuba dive. November: Our friend Bill Holman visits, and we all head to Nicaragua, one of the most beautiful places on Earth. November: My final major assignment for Pittsburgh Magazine is also one of my most cherished—a profile about stage legend Tom Atkins. November: I get cast in The Glass Managerie, with The Little Theater Group of Costa Rica. My international stage debut is slated for February, 2014. December: My coworkers at the Tico Times and I head to Playa Samara, where we celebrate a surprise birthday party, bond on the beach, and struggle to wake up before noon. December: Christmas with the family, back in the ol’ United States of America. Visits to Philadelphia and Washington, D.C., a reunion with my parents (newly back from China), and my first meeting with my brand-new niece, Nina. December 31: We fly to Liberia International, to celebrate the New Year in beautiful Guanacaste. 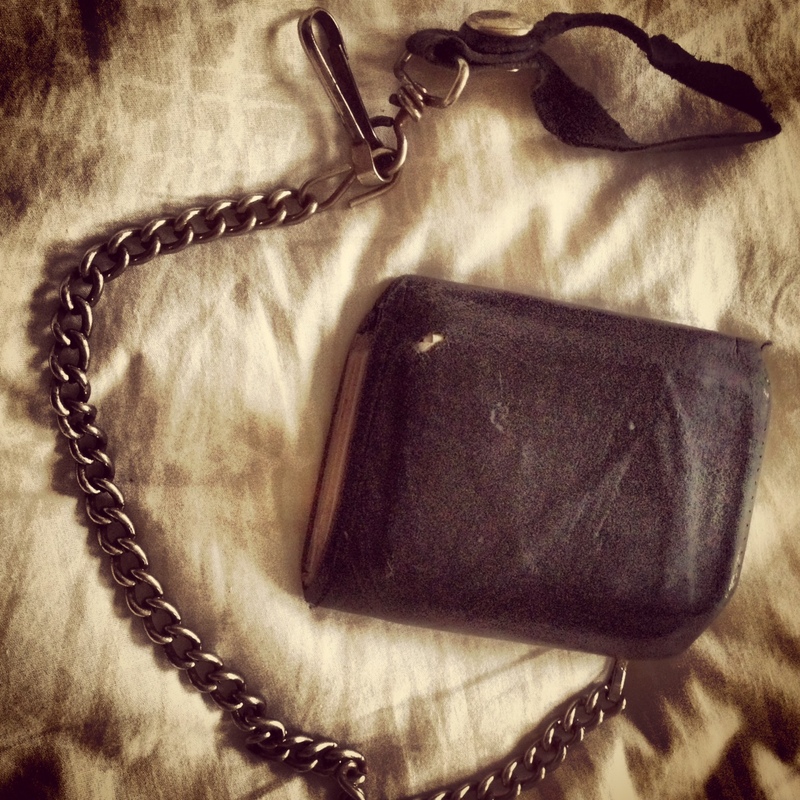 Years ago, I left my wallet on a bar. I had no idea I’d left it there. I slipped off my stool, headed for the restroom, and urinated in a trough. This was a dive bar in Polish Hill, a ramshackle neighborhood in the heart of Pittsburgh. I should have lost the wallet forever. One of the patrons should have pocketed the wallet and walked away with my ATM card and expired driver’s license. I should have cursed my luck for days. But when I returned, the wallet was still there, untouched. I was tipsy, but not too tipsy to realize how lucky I was. I closed my eyes, mumbled a generic “thank you” to the universe, and socked the wallet away. 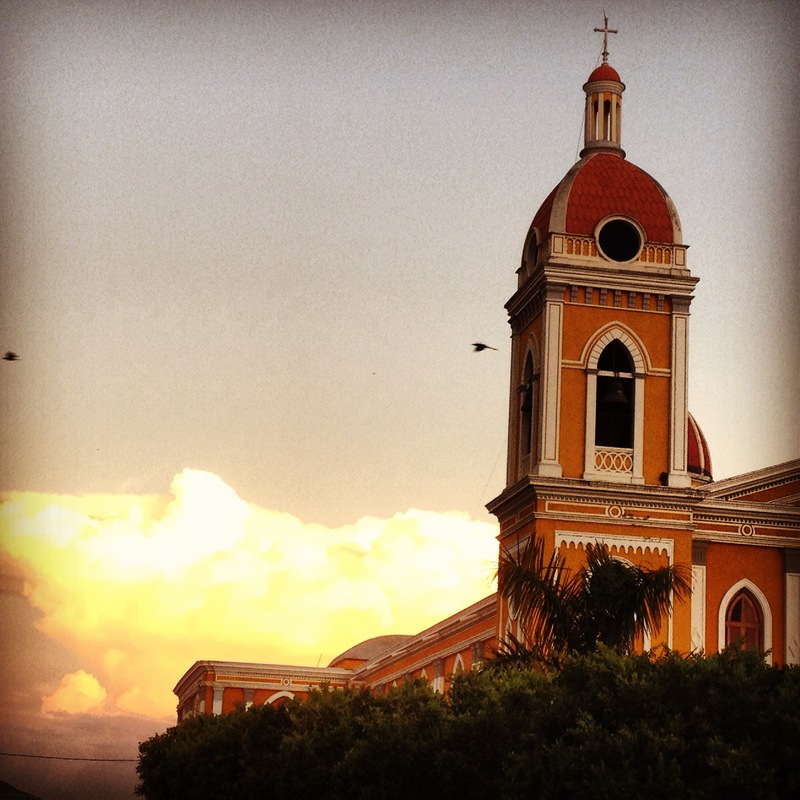 The following is an excerpt from an essay on Granada, Nicaragua. Granada is a perfect city. The old houses are locked together, forming candy stripes of pastel paint. The streets are narrow and crooked, opening into public plazas. Enormous wooden doors hang open, revealing leafy courtyards and abuelas in rocking chairs. Skinny teenagers pedal down the street on bicycles, their chains squealing, just as horse-drawn carriages fly in the opposite direction. The old city is only a few kilometers long; we walked from one end to the other within a half-hour. Visitors describe Granada as “colonial,” but the stone walkways and towering churches smack of fairytale Europe—the Italy of Pinocchio, the Spain of Don Quixote. Such majesty should only exist in the woodcuts of romantic novels. Even our hotel was perfect, with its wooded atria and tiny pool, the simple rooms and plaster walls crawling with geckos. On the avenues, the restaurants had perfect arrangements of tables, perfect platters of ropa vieja and fried plantains, perfect little napkins wrapped around Coca-Cola necks. When we ordered “un litro” of Toña beer, it tasted perfect on our lips, the lightest and airiest of cervezas.